8 out of 10 people are living with or have experienced chronic pain in their life. 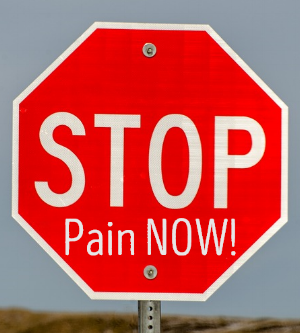 Pain can come in different ways - a small nagging injury, or worse, a debilitating condition. While it can be a nuisance that affects our daily functions, it serves a purpose as the body's message to the brain that something is wrong. Commonly, people address pain by using a "band-aide" approach to cover up symptoms, or grin and bear it and simply wait for pain to go away on its own. You do NOT need to live with pain. You do NOT need to stop the activities you love. Learn what can help for good, and put an end to your pain. Register for this FREE workshop led by Certified Natural Health Practitioner Suzan Moody and Massage Therapist Lori Burdick. Attendees will gain knowledge on inflammatory pathways of the body, an exclusive packet of turmeric samples, and learn targeted stretching techniques. Doorprizes: Registered participants have a chance to win a Free detox foot spa session ($30 value) with Suzan OR Free 1/2 hr. Massage ($35 value) with Lori. Space is limited, call 989-652-0537 to register today!